Walk in cooler door shelves is a process that massively increases the storage space inside a cold storage unit. Shelving will allow your business to make the most out of your appliance. It will definitely make your investment much more profitable. We can build shelving units to perfectly fit the shape of your cold room; it will maximise the usage of space inside the storage. 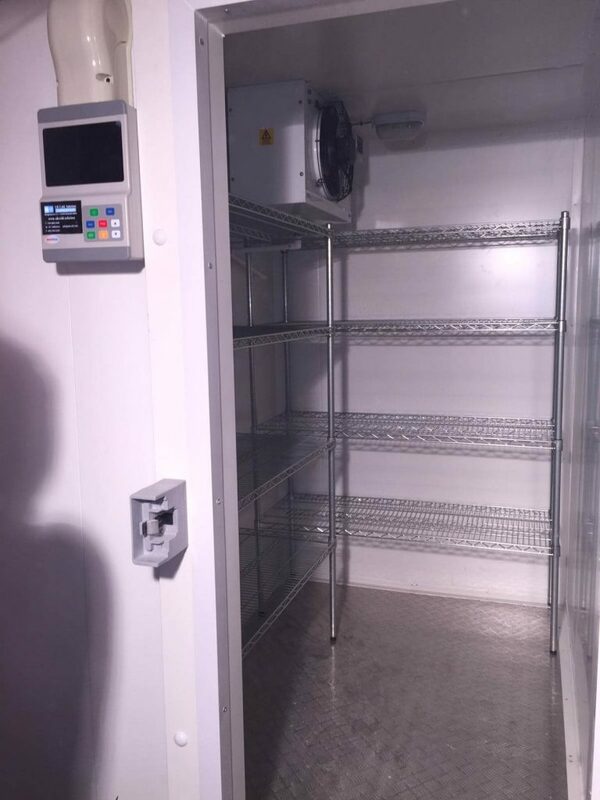 If you already have cold room shelves for your business but you need to install them, call us at +44 755 533 6292 and we will setup your cold room shelves. Or you can visit our cold room designs section if you do not even have a cold room. Our Cold Room Design application works 24/7, feel free to use and build your cold unit in a few minutes. Cold Design engineers will correctly install shelves in your cold room and make sure that the pressure of the items stored will be supported. We can consult you on how to use up your shelf space as efficiently as possible. If you have any questions about our installation services, you can find additional information in our cold room Installation main page.